That line “If you build it they will come,” from the movie Field Of Dreams, may not quite hit the mark, but it’ll do. There were some other musicians he knew though, or at least knew of, who would at least understand the idea. People like Jim Kirkpatrick from the band FM, and producer and multi-instrumentalist Scott Ralph, among others. Would they maybe agree to contribute? No harm in asking, he thought. At this stage the recordings were still just intended to be for the ears of Bevington and his pals. But then someone persuaded him that the end product was good enough for public consumption. 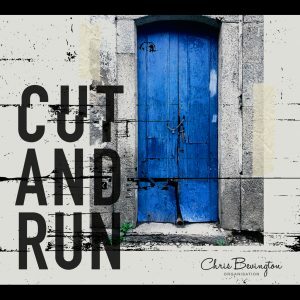 A second album from Chris Bevington & Friends followed, and then – from the re-christened Chris Bevington Organisation – one of the most enjoyable blues albums of this year, in the form of Cut And Run. As they should, because Cut And Run is a fresh and vibrant slab of rocking blues, delivered by a nine-piece band, that’s guaranteed to put a smile on your face. how did they get going down that road, I ask. “Well to begin with,” he says, “they only knew of one another. But it was only when we did the first album, and then the second album, that they hit it off. They never met one another when they did the first album, because they went in the studio at different times. Then when they did actually meet they got on like a house on fire – and not only did they do the project we’ve got, but they’re helping one another with other projects. Scott does FM recording, and all manner of stuff, and they became good friends. And that’s really cemented it, because then they became a driving force for the third album. But even if Ralph and Kirkpatrick are in the pilots’ seats, the Chris Bevington Organisation is still very much an ensemble affair, as the man himself makes clear when I ask him how he’d describe their sound. 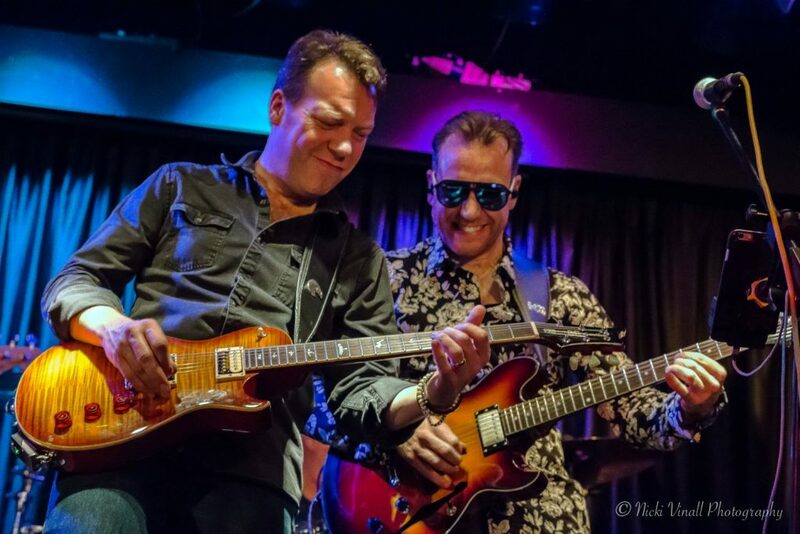 “I think we dip into the different styles of blues, but the emphasis is really on the big sound, to bring in all the brass and all the vocals. So it’s got that big band sound, but what we try to do is keep an element of that raw slide guitar, so some numbers are more raw. But in saying that we try to put some technique in there with the shuffles or the drum solos. I ask if it’s been particularly interesting for Bevington to see this whole process up close, and how Ralph and Kirkpatrick have pulled it all together. I’m guessing that until he started this project, he’d never really had an insight into how real pros would do it. Beyond all the technique though, Scott Ralph evidently had a creative vision. And credit where it’s due, Ralph has created a sound that unifies the whole album. As I observe to Chris, it’s got an old-fashioned, bluesy, earthy feeling, but manages to be bright at the same time. 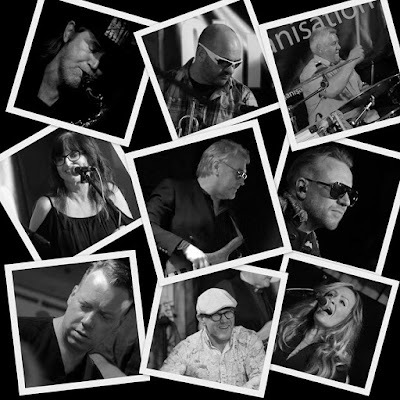 Skinsman Neil McCallum must be delighted with the thumping drum sound, the horns from Mike Yorke and Adrian Gibson are given plenty of room to shine, and the backing vocals by Sarah Miller and Kate Robertson slot in perfectly to add another dimension to several songs. 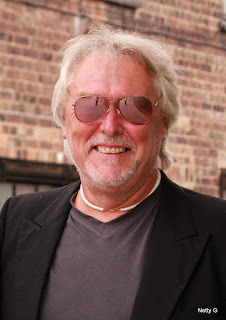 If you’re looking for a comparison, something like Paice Ashton Lord’s track ‘Dance With Me Baby’ springs to mind – which also happened to feature Jim Kirkpatrick’s chum Bernie Marsden. On a different creative note, Cut And Run also has an attractive and distinctive album cover. 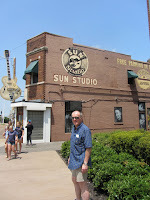 Unlike your typical blues cover photo of a bloke posing with a guitar, it features a photograph of an old building, just as its two Chris Bevington & Friends predecessors did. So how did that come about? Bevington laughs. The new album also involved a rebranding of the band as the Chris Bevington Organisation. So what brought that about, I wonder? Turns out it was Jim Kirkpatrick’s idea. Which is a real compliment, I suggest. The strong impression I have from speaking with Chris Bevington is of a very humble guy when it comes to his musical contribution. But he does admit that in other respects it’s been a labour of love on his part. He may not be the front man of the Chris Bevington Organisation in a traditional sense, but in my book Bevington has every reason to be proud of bring into existence the band that bears his monicker. He built it, they came, and the results are mightily impressive. I’m counting the days till I see them live. You can find an interview with Scott Ralph by a fellow blogger here. The Chris Bevington Organisation are appearing at the Carlisle Blues Rock Festival on Friday 28 September.